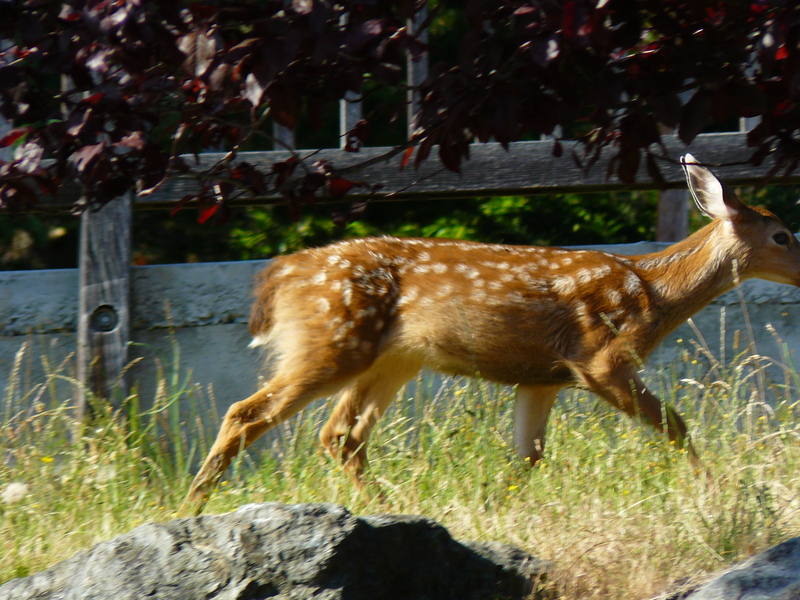 Columbian Black-Tailed deer graze right outside my window on an almost daily basis, so I couldn’t resist posting this photo! 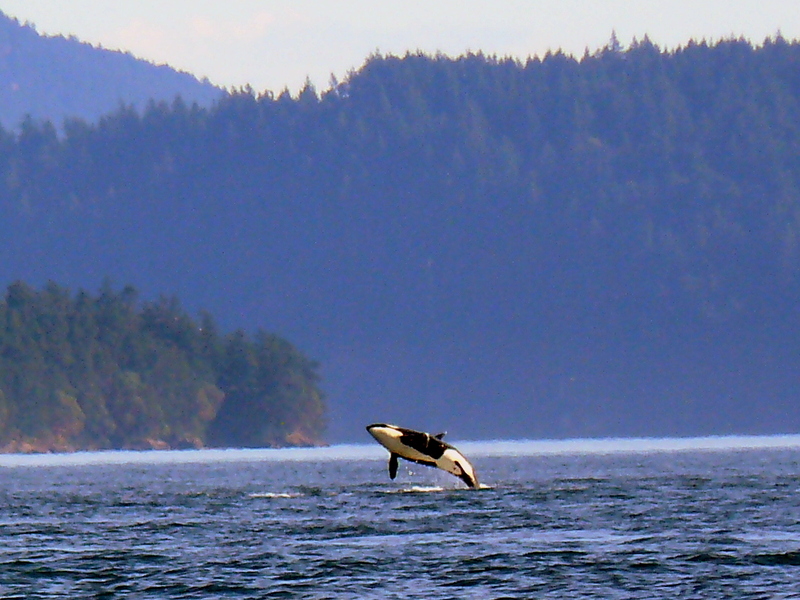 As the Southern Resident Killer Whales seem to be traveling more out in the Pacific Ocean to find their primary food; Chinook salmon, we are thankful we saw them in Haro Strait, 4 trips out of the 6 NOAA sponsored Whale Museum Land Based Tours I conducted in July and August. San Juan County Park seemed to be the afternoon ‘Whale Watch Park’ this summer! I am thankful for the increased awareness and everyone’s efforts to restore, preserve, and conserve salmon habitat; salmon are a keystone species here in the northwest. 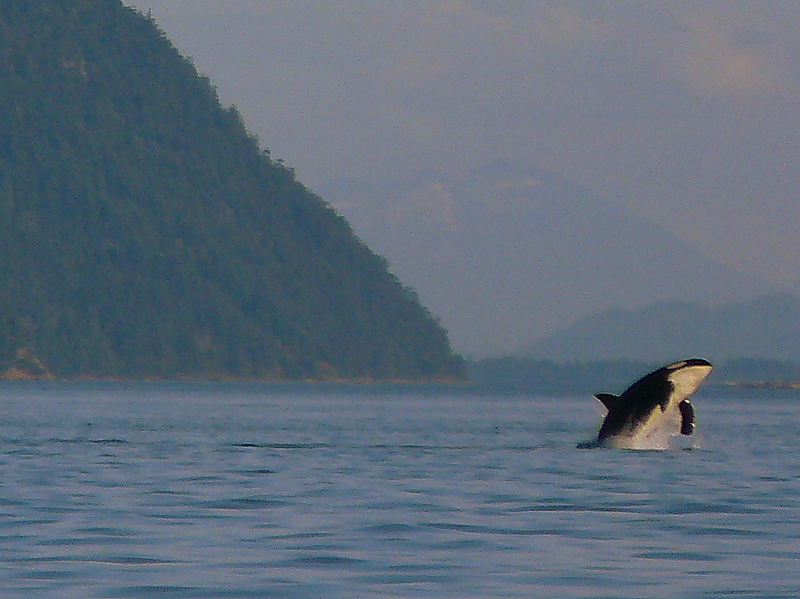 I also appreciate all the research trying to answer; what do these iconic, distinct, endangered orcas need to survive and not become extinct? I was lucky to get the breach photos, when over 40 orcas from all 3 pods appeared to be resting in tight, slow-moving groups, then woke up and became very surface active! The most continuous, countless breaches by many of these whales, that I can ever remember seeing and hearing!! 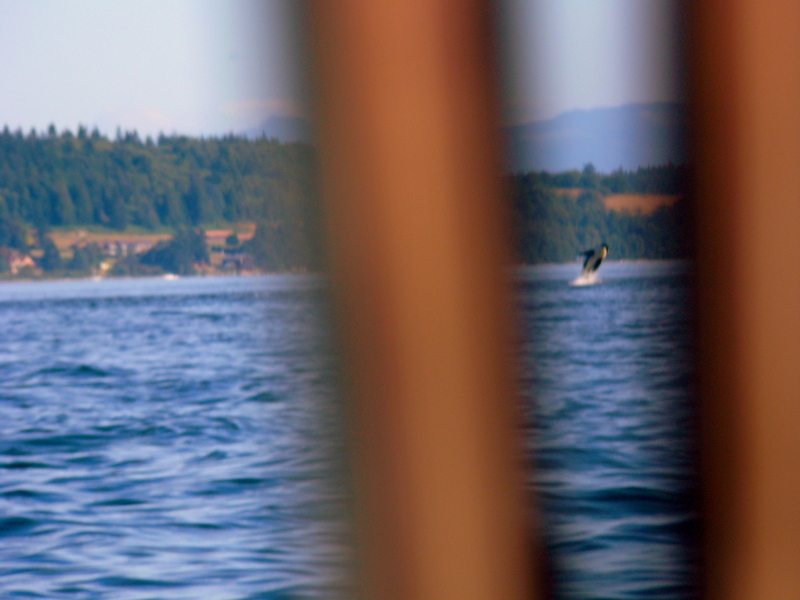 « Summer Salish Sea Orcas!